On Sunday, at Iskcon Bangalore one more initiation ceremony was conducted, Reestablishing and Reinforcing the Position of Srila Prabhupada as the only Diksha Guru of Iskcon. 50 devotees took Harinam Diksha and 3 took Brahmana Diksha. 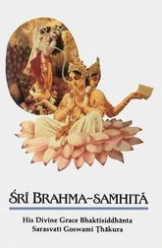 Harinam Diksha devotees were given a Vedic name, and Japa Malas chanted upon by the Ritviks. Brahmana Diksha candidates were given a sacred thread. 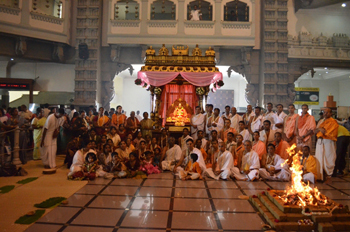 A Vaishnava Homa (fire sacrifice) was performed as the conclusion of the ceremony. The initiation ceremony took place in accordance with the July 9th Letter of Srila Prabhupada.